4 ways to wear this summer-ready trend. Kimono-inspired clothes have been around for a few years now, but they’re still trendy — and for good reason. They’re flowy and elegant, with solid colors and floral prints that make for an easy way to make a statement. The trend has evolved from the original cover-up/cardigan to tops, dresses, and jumpsuits. 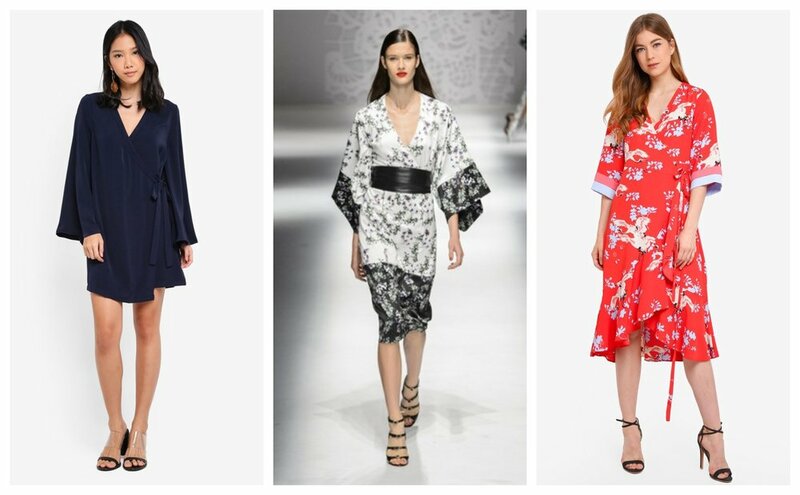 Read on to learn how to rock kimonos! Kimonos are a great way to change up your usual cardigans and jackets for summer. They’re light enough for summer while still giving you a bit of coverage. Plus, they’re super versatile — wear them over a tank top and jeans or a t-shirt and denim shorts to dress up your weekend look, or over your swimsuit as a cover-up at the beach. A short kimono in a dark color can even pass as an alternative to your office cardigan or blazer. The top takes the bell sleeves, wrap neckline, and cinched waist of a kimono in a cut that’s flattering on pretty much everyone. A tunic type that’s belted at the waist is a chic workwear piece to pair with tapered trousers, while a cropped top is a cute alternative to your usual summer off-shoulder pieces. Loose and elegant, the kimono dress is like your favorite wrap dress with a little twist. Look for a dress with a waist tie that keeps it from being too baggy and veering into your lola’s duster territory. The kimono jumpsuit gives more shape and structure to the style while still keeping that effortless elegance. A piece with tapered pants, paired with heeled sandals, will be your next favorite office staple, while a flowy piece is as close as you can get to wearing pajamas outside of the house. How are you wearing kimonos this summer? Let us know in the comments section below! For more on the latest fashion trends, keep up with Thread, or head on over to ZALORA Malaysia to check out new arrivals.